Australia’s Steve O’Keefe appeals successfully to dismiss Pakistan’s Asad Shafiq during their match in Sydney, Jan. 5. 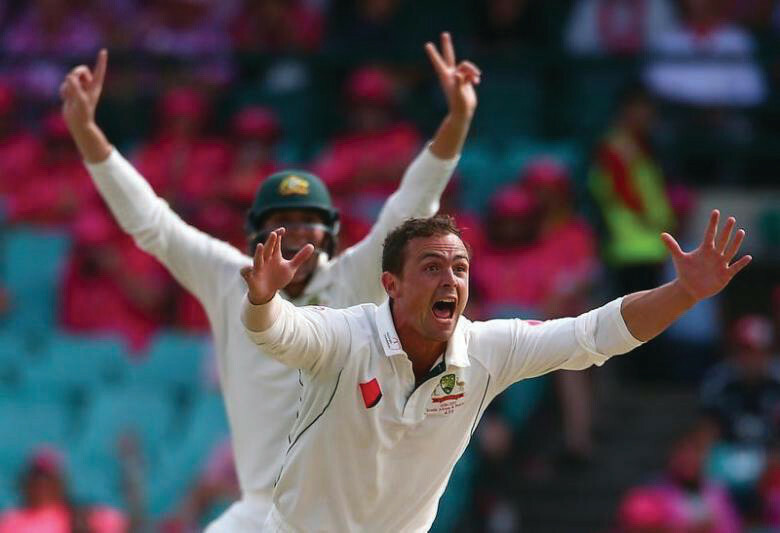 Steve O’Keefe’s hopes of joining the Australian slow-bowling attack in the four-test series in India from next month have been boosted after the left-arm spinner was withdrawn from the remainder of the Big Bash League to prepare for the tour. The 32-year-old returned home injured after playing his third test in Sri Lanka last July and was only recalled to the national team for last week’s final test of the home summer against Pakistan. O’Keefe had been named in the Sydney Sixers squad to make his return to BBL action in Monday’s match against the Melbourne Renegades at the SCG before Cricket Australia pulled him out. He will now focus on the five-day format and will be part of a group of players travelling to Dubai for a training camp ahead of the India tour. “Post the Sri Lanka tour last year we have been in talks with Cricket New South Wales and Steve on the best way for him to prepare for the … tour of India,” CA team performance boss Pat Howard said. “After his recent injuries, which have caused him to miss Sheffield Shield matches this season, he has had a lot less red ball match practice than other players that are likely to tour India and it is important he gets as much bowling in the format he is going to play. O’Keefe was impressive on his Australia return, posting match figures of four for 103 during the hosts’ third test win against Pakistan at the SCG and will be expected to partner off-spinner Nathan Lyon in India. Leg-spinner Adam Zampa believes he has done enough to stake a claim for selection in the test squad, citing his experience of playing the Indian Premier League and last year’s World Twenty20 in the South Asian country. Australia have not won a test series in India since 2004 and were blanked on their previous trip to the subcontinent’s spin-friendly conditions in Sri Lanka last year.